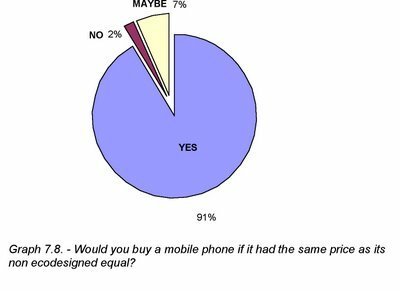 The title of my MSc thesis was: "The effect of WEEE & RoHS Directives upon the eco-design of mobile phones marketed within the European Union" Finished in 2003. This is the abstract plus some graphs. The obligations set by the waste of electrical and electric equipment directive (WEEE) and the restriction of hazardous substances in electrical and electric equipment directive (RoHS) are looked up upon the ecodesign of mobile phones. The WEEE directive sets a requirement of recyclability target of 65% at least. Various alternatives are examined to enable mobile phone manufacturers achieved this target. The disassembly of the printed wiring board and the liquid crystal display of the mobile phones are also required. Manual disassembly is currently the main cost in the recycling process, for this reason automatic mechanisms alternatives are also examined. Producers are required to provide information to recycling processes on hazardous substances location and disassembly procedures. Bard codes and smart tagging are proposed as possible alternatives. Lead and brominated flame retardants are to be phased out from mobile phones by August 2006. 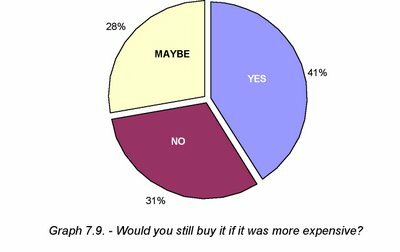 The surveyed companies considered lead which is used for soldering process the most challenging restricted substance in the RoHS directive. Alternatives lead solders are already being used by leading companies. Almost all of the contacted companies use a diverse range of methods in order to meet the requirements. Design changes need to be applied early in the phone development process. 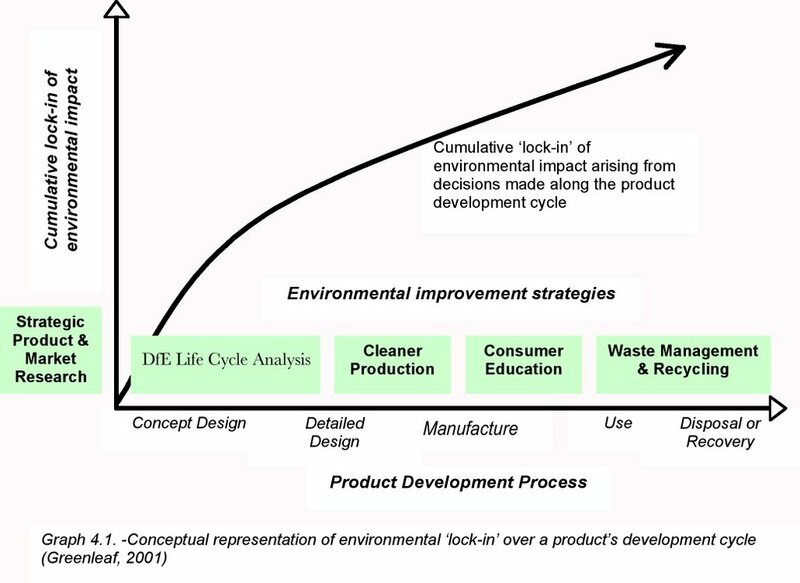 Ecodesign tools aid producers into achieving this at an early stage of the phones life cycle. The mobile phone manufacturers that were contacted have mainly over a decade of experience in the production field. They mainly considered themselves to be somewhat above other companies of the same sector in environmental issues. All of them have been researching for design changes for more than two years to date. 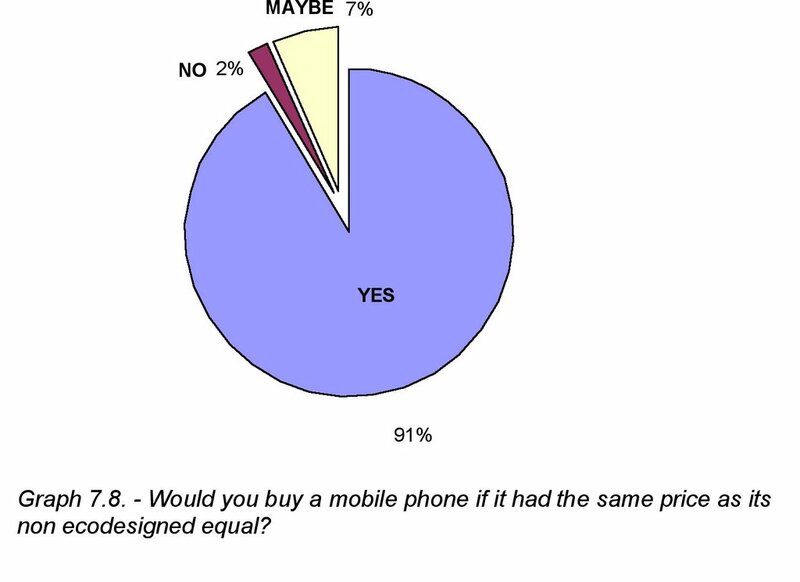 The public in general is interested in environmental friendly mobile phones, however many would not buy it if prices were slightly higher. Peoples’ awareness on the existence of the directives is totally non existent. Recommendation is suggested for information campaigns awareness to start as soon as is possible. My methodology was based on literature review, email questionnaires to the public (150 answers) and email/post questionnaires to global mobile phone manufacturers. 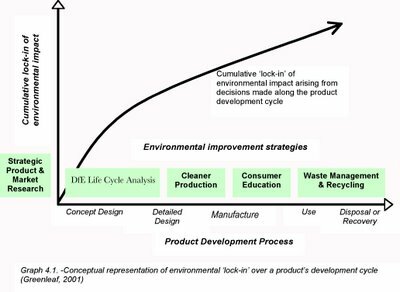 Ecodesign is also known as Design for the Environment (DfE) or lifecycle design, see graph below. In most cases an average of 80% of the environmental inputs are fixed during the research and development stage. These are some of the pie charts for the 150 answers-questionnaire to the general European population. There is a large difference in responses, showing that Europeans have limits and wont be paying more for a commodity that they already can have without looking further in their pockets. 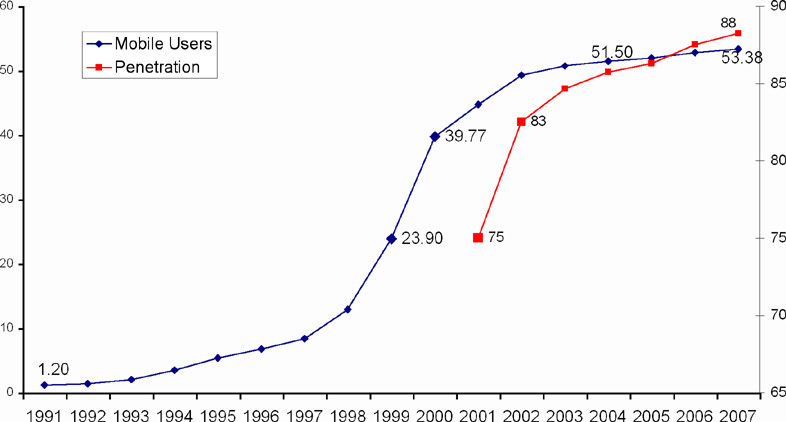 You will always get a niche for an eco product, but the market is reduced. The higher prices should be added compulsory, payed by manufacturers and the public. This is everyones' problem and must be tackled by everyone. Email me at ander80@gmail.com you want the thesis.doc. Thanks.